GDPR is just around the corner. Are you prepared? AssureStor’s backup2cloud enterprise platform delivers GDPR-ready backups. 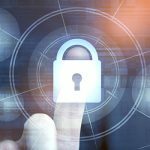 The General Data Protection Regulation (GDPR) is now only a few months away. From 25th May 2018, your organisation will be expected to have aligned its operations to GDPR requirements. Are you prepared? In our previous two ‘Preparing for GDPR’ blog posts, we asked whether your backups are appropriate, and explained the importance of addressing the right to forget. 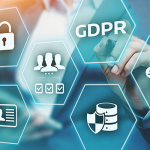 In this final blog post, we’ll provide an overview of how you can implement GDPR-ready backups through AssureStor’s backup2cloud enterprise platform. AssureStor’s backup2cloud enterprise platform is delivered in collaboration with Asigra. 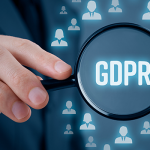 The backup2cloud enterprise platform has been developed to provide GDPR-ready backups to UK businesses. The feature-rich platform delivers backup protection throughout the enterprise environment, including virtual servers, cloud applications, and roaming devices. Data Encryption. Data backed up with backp2cloud enterprise is protected by military grade encryption both in-flight and at-rest. This mitigates the risk of confidential data being stolen. Stored in Two Data Centres. Backup data is stored at a minimum of two geographically diverse Tier III+ data centres. This minimises the risk of downtime in the event of an incident at one data centre. Data Sovereignty. UK-based businesses who subscribe to backp2cloud enterprise can be assured that their data remains in the UK mainland. It is a key requirement for a number of regulatory bodies that organisations understand where their live and backup data is stored. Right to Forget. 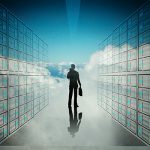 Organisations subscribing to backup2cloud enterprise are able to efficiently target the removal of individual items. This makes it significantly faster and more straightforward to facilitate right to forget requests. LAN Speed Recovery. The backup2cloud enterprise platform allows you to recover data at LAN speed. This enables rapid recovery, minimising downtime that can potentially incur penalties from regulatory bodies. 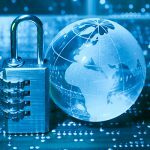 GDPR is set to be one of the most significant regulatory changes faced by organisations in recent years. 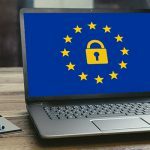 If you deal with data from clients residing in the European Union – and, for the time being, this includes the United Kingdom – you will need to comply with GDPR. The AssureStor backup2cloud enterprise platform delivers GDPR-ready backups, giving you peace of mind that your organisation’s backups meet GDPR requirements. To learn more about the backup2cloud enterprise platform, you can register for a 30 day free trial of the service. And if you have any questions about how backups fit in to your overall GDPR posture, feel free to contact us.